Comes with both sides ! A Pair Of High Quality Crystal Headlights. Our Crystal Headlights Kits Provide For Intense Light Beam Concentration. Innovative & Unique Design That Customize Your Vehicle, With Only The Fraction Of Oem Headlights Cost. You May Also Upgrade The Light-Bulbs To High Intensity Discharge (Hid). 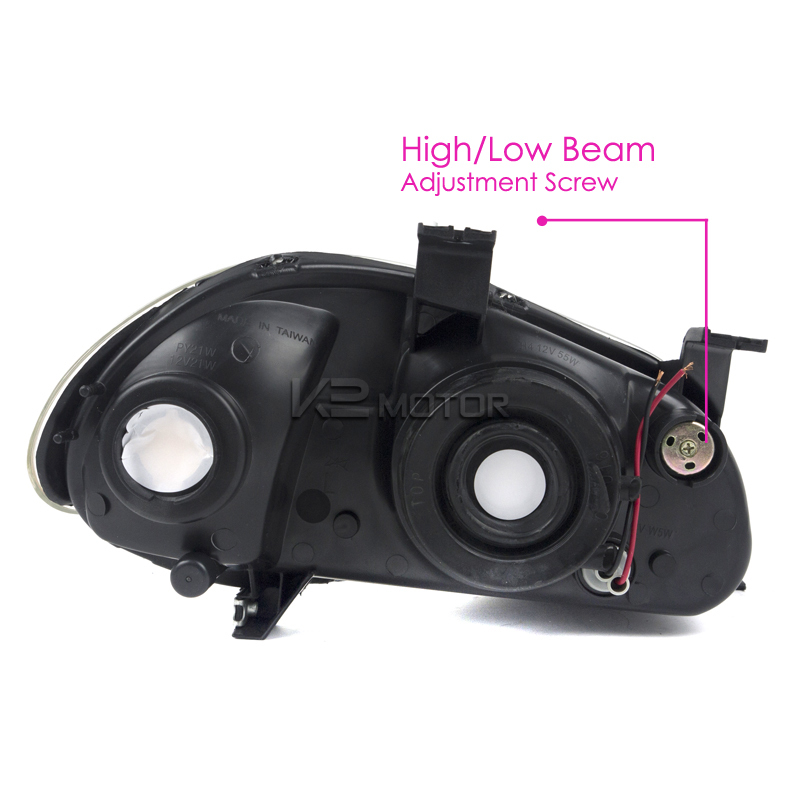 The Headlights Is Securely Mounted By The Original Screws & Nuts Of The Oem Parts. Installation Should Take Approximately 1 1/2 Hours. If You Are Unsure About Installing Automotive Accessories By Yourself We Recommend Consulting A Body Shop. -Direct Plug & Play Installation. -Comes With Amber Reflectors. -Made By Approved And Certified Manufacturer To Ensure Quality & Fitment. Looking to give your 1993-1997 Honda Del Sol a customized look? Then this is exactly what you have been looking for! 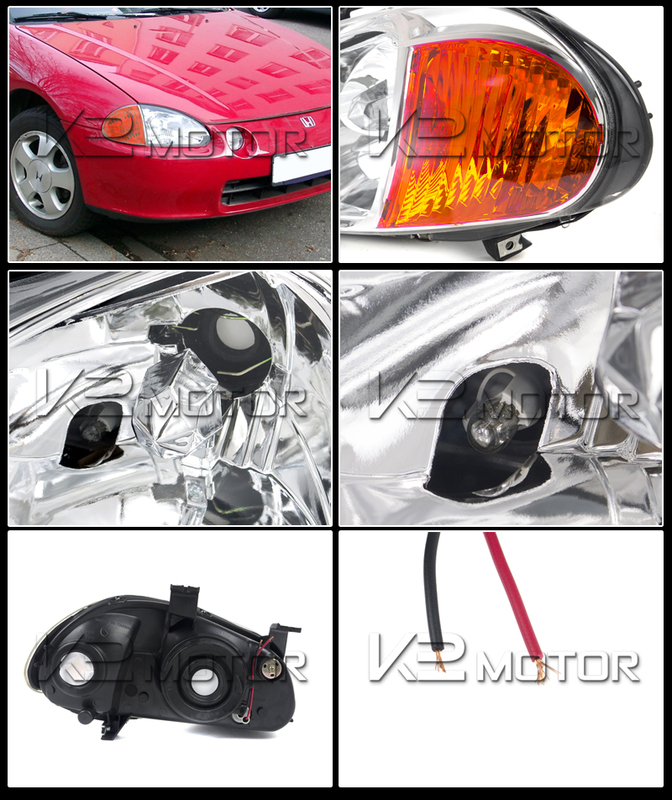 Replace your old and worn out OEM Honda Del Sol headlights and try our euro style crystal headlights set. 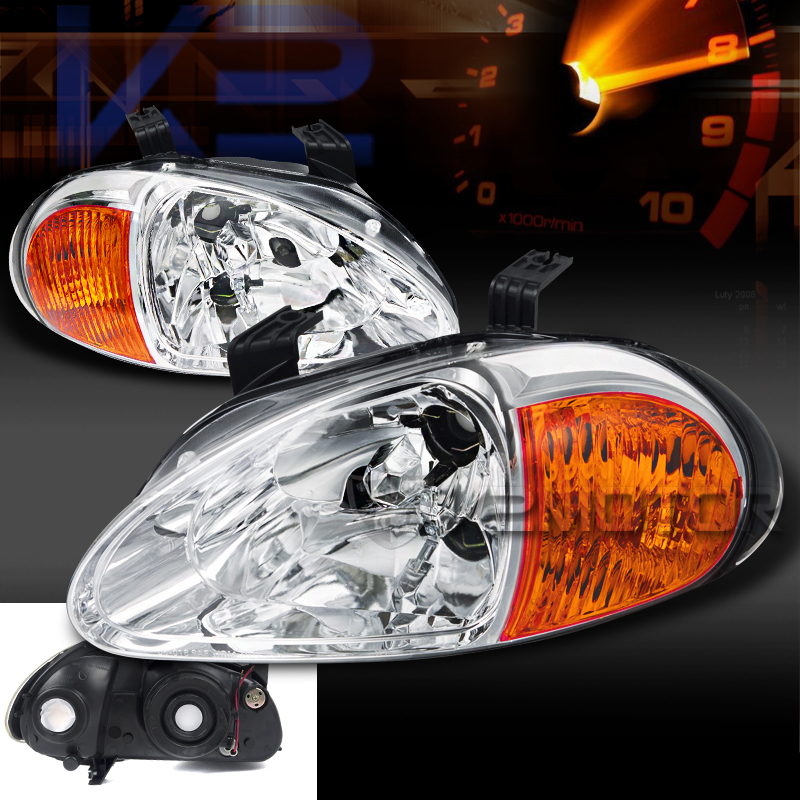 These headlights are a direct replacement for your OEM Del Sol headlights, easy to install and no modification needed. This euro style headlight will be just as bright as any OEM headlight set.